How do we visit Auschwitz-Birkenau on a one day tour? 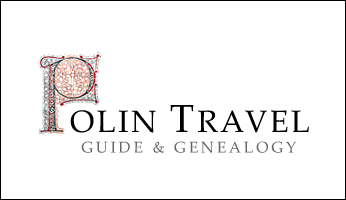 Respectfully, following a tailor-made itinerary, with a certified guide only and at the pace of a visitor. The regular guided tour through the territories of Auschwitz and Birkenau lasts approximately 3,5 hours. This time can be extended up to few days if there is a need for more detailed or more personal approach. It is important for us to show the whole complicity of the German Nazi policy against the Jews and other nations of Europe. Only by getting a full picture of events and proper chronology it is possible to encompass the history and function of Auschwitz-Birkenau. For this reason we lead the tour according to the specially designed itinerary presented below and we cooperate only with the best and fully certified guides in all places that we visit. Our guides have broad academic background and are all the time with you to answer your questions. Suggested itinerary for one day tour of Auschwitz and Birkenau. In order to keep proper chronology our tour always starts in the morning in Cracow with visiting the former Cracow Ghetto territory, Schindler's Factory and former terrains of the Plaszow Camp. The 1 h 15 min. journey is a perfect occasion for an introduction into the camp structure and German occupation of Poland. On the way we drive past Auschwitz III - Monowitz - IG Farben complex which introduces a topic of sub-camps. We start to visit Auschwitz after the morning crowds of tourists. Usually first we visit Auschwitz I Camp with its exhibitions, which helps to grasp camp's history and prisoners life reality. Parts of the guided tour are based on testimonies of the survivors. After at least 2 hours (up to 4 hours - dependently on visitor's needs) we take a little break to rest (this time can be used for coffee or lunch). 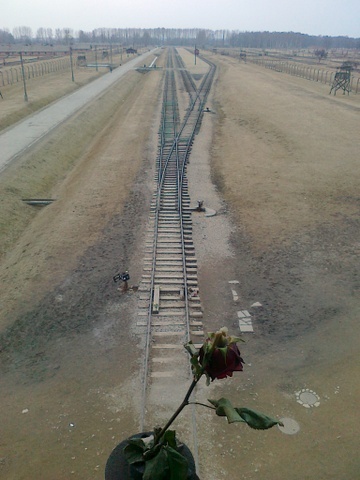 Visit to Auschwitz II - Birkenau. On the way from Auschwitz to Birkenau we would visit the Altejudenrampe (Old Jewish Unloading Platform) with two cattle rail cars which commemorate the place. In Birkenau we spend at least 1,5 hour on the guided tour (up to 4 hours - dependently on visitor's needs). Drive back to your hotel in Cracow with optional visit to the only remaining synagogue in Oswiecim/Auschwitz. The whole tour is private and guided usually by one guide who holds separate certificates for all visited sites. In this way during one day he or she can create a full and complete picture of the Holocaust chronology and reality. We can start and finish our tour at any appointed pick up and drop off place in Cracow including the Balice/Kraków Airport and Pyrzowice/Katowice Airport. We regularly service visitors from: Sheraton Hotel, Copernicus Hotel, Stary Hotel, Pod Roza Hotel, Novotel Hotel, Radisson SAS Hotel, Grand Hotel, Campanile Hotel, Classic Hotel, Eden Hotel, Ester Hotel, Dawid Hotel, Andels Hotel, Holiday Inn Hotel and others. For more details, availability and prices please contact us. Konzentrationslager Auschwitz – was a German Nazi Concentration Camp established in May 1940 on the outskirts of the former Polish town called Oświęcim, which after its territories were incorporated into the III Reich was renamed Auschwitz. The camp was modeled to be similar to the already existing concentration camps build across Germany in the 30ties and at first it was to be a place of seclusion for Polish political male prisoners. In choosing the establishment site the SS commissions found Auschwitz perfect for its location in the confluence of two rivers Wisła and Soła, for its location in between the two densely populated territories of pre-war Poland Upper Silesia and Małopolska, for the vicinity of the major international rail junction on the line connecting Cracow with Vienna and the fact that there were already 20 one storey bricked barracks in existence. Those buildings were constructed during WW I as an emigration center and in the 20’s and 30’s were used as barracks for the Polish army. The first group of Polish political prisoners was send to Auschwitz on June 14th 1940 from the prison in Tarnów and this date is generally understood as the beginning of the KL Auschwitz operation. Apart of the primarily Polish prisoners there was also a growing number of political prisoners of other European nationalities becoming the camp inmates in the first years of operation. This period was marked with inhumane work conditions over the constantly being developed camp structures and brutality of the overseeing German perpetrators who created a very lethal camp system based on perpetuation of terror. After the first escape on July 6th,1940 of the Polish political prisoner Tadeusz Wiejowski an evening roll call for all inmates was prolonged to 19 hours. In the result of the SS brutality during this roll call the first victim was murdered. He was a Polish jew Dawid Wongczewski transported to Auschwitz after the tortures he underwent in the German prison in Nowy Wiśnicz. From the very beginning of KL Auschwitz history the site was increasingly inspected by German industrial commissions attempting to convert the prisoners into the slave workers. Already in late 1940 IG Farben engineers decided for the construction of an enormous scale chemical industrial complex some 12 km away from Auschwitz I in a village called Monowice. This complex being developed for 5 years by countless of Auschwitz inmates and equipped in the course of construction with a branch of Auschwitz concentration camp for housing up to 11.000 inmates was better known as Auschwitz III-Monowitz or BUNA. One of its inmates in 1944 Primo Levi describes its construction in those words: "Its bricks were. . . cemented by hate; hate and discord, like the Tower of Babel, and it is this that we call it: Babelturm, Bobelturm; and in it we hate the insane dream of grandeur of our masters, their contempt for God and men, and for us men". In 1941 the radicalizing and racial based German Nazi state ideology represented by politicians and supported socially demands more openly some form of “Solution to the Jewish Question”. The brutality and mass murder along the Eastern front line against Soviet Russia, full support of German science and bureaucratic machinery and global indifference to the fate of civilian population produced a momentum in late 1941 of taking the decision about mass extermination of Jews of Europe by the SS. This decision is sealed during the Wannsee Conference on January 20th 1942. Already in September 1941 the first successful attempt of using the disinfection devised Cyclon-B Gas against human beings was conducted at Auschwitz I. It was tested against 600 Soviet POW’s and 250 Polish political prisoners and lasted 48 hours. In late 1941 the already existing Crematorium number I in Auschwitz was converted to become also a primitive gas chamber number I. From 1942 after completion of the second part of the camp complex called Auschwitz II Birkenau in the nearby village of Brzezinka its function changed into becoming both concentration camp for slave labor and mass extermination camp of mostly European Jewish communities. The complex of Auschwitz camps at its peak of development was made of 48 sub camps holding and abusing the slave labor of over 100.000 of inmates. From spring of 1942 in the territories at the back of Auschwitz II Birkenau the German Nazis began construction of 4 technologically advanced crematorium and gas chamber complexes at the same time initiating the process of mass extermination of European Jews. From this point most of the arriving European Jews, close to 80 % of every Jewish transport were never registered upon arrival to become the Auschwitz inmates. Immediately after arrival they underwent selection by German physician into the group of people who are economically useless for the camp and directly from the arrival platform they were walked to be murdered in the gas chambers in the back of Auschwitz II –Birkenau. Within close to 5 years of existence of Auschwitz-Birkenau Camp there were close to 1,300.000 children, women and man, mainly Jews from all over Europe murdered there. The camp was liberated by the Soviet army on the 27th of January, 1945. Death Marches from Auschwitz – the late 1944 brought the gradual retreat of German military and administrative forces from former central and western provinces of occupied Poland under constant and continuously underestimated Soviet military pressure. KL Auschwitz was being prepared for evacuation from October 1944. The Auschwitz SS was destroying the camps documentation, transporting still work useful prisoners into more internal German territories, removing the corpses from mass burial ditches, removing human ash from pits into the nearby rivers. All of those procedures were planned for the time period till spring 1945 when the Soviet troops were expected to enter the former Auschwitz grounds. The Soviet offensive initiated on January 12th, 1945 from the line of the Vistula River produced sudden evacuation pressure on camp’s administration. Concerned with the large numbers of survivors, who may become witnesses to the atrocities committed and persuaded about their possible future productivity for the Third Reich the SS decided for evacuation of prisoners direction Germany. Hectic and rushed evacuation of 56.000 of inmates forced into marching columns from various sub camps of Auschwitz system was initiated on January 17th and lasted until January 21st. Brutality of guards, critical weather conditions and long daily walking distances contributed to high mortality of the already emaciated prisoners. Often the fear of the future possible developments for the SS members made them even more brutal and overreacting against the barely walking columns of inmates. Often the massacres occurred of the still remaining prisoners for the sake of removing the last eye witnesses, as was the case in the Auschwitz coal mine sub camp of Furstengrube. The marching columns moving slowly though Upper Silesia were marking their path with countless corpses in the side road ditches left behind. Many of those were buried by the local population in multiple mass graves usually at the territories of local cemeteries. Sometimes they were buried anonymously, sometimes at least the numbers tattooed on the corpses forearms were registered for future identification. Most of the marching columns were directed towards the two major rail junctions at Wodzisław Śląski ( Loslau -65 km from Auschwitz) and Gliwice (Gleiwitz- 55 km from Auschwitz) at which they were crammed into cattle cars or opened rail platforms which took them into various concentration camps in Germany. Ironically the day of liberation of Auschwitz of January 27th , 1945 did not meant freedom for most of the still alive Auschwitz inmates. They were on the Death March way to the other camps more internally in Germany, where they will need to adapt one more time as fresh arriving inmates. Even after finding strength to adopt to the new camp conditions in most cases they had to wait for the liberation of those till April / May 1945. The estimates of casualties during the Death Marches vary from 9000 to 15.000 of Auschwitz prisoners. After the war - From 1947 the territory of the former camp was protected by the State Museum authority. The remaining former camp structures spread over vast territory, the high number of victims and survivors as well as their very diversified nationality led Auschwitz to be recognized as the main symbol of Holocaust in the world. Each year the Museum is visited by approximately 1,5 million visitors, who choose to learn the history of the Holocaust by getting to know history of Auschwitz-Birkenau. In 2005 the International Centre of Education about Auschwitz and the Holocaust was created, in order to raise historical awareness about Shoa and promote values of dialogue among nations.